23rd Annual Marsh Creek Cleanup - Earth Day Edition! 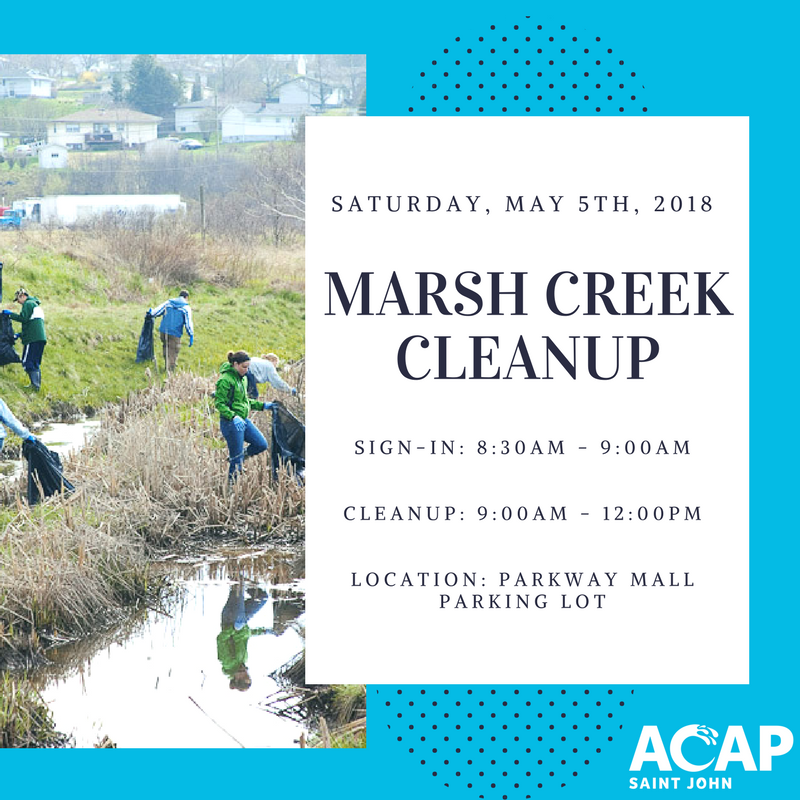 Come be a part of our 23nd Annual Marsh Creek Cleanup! 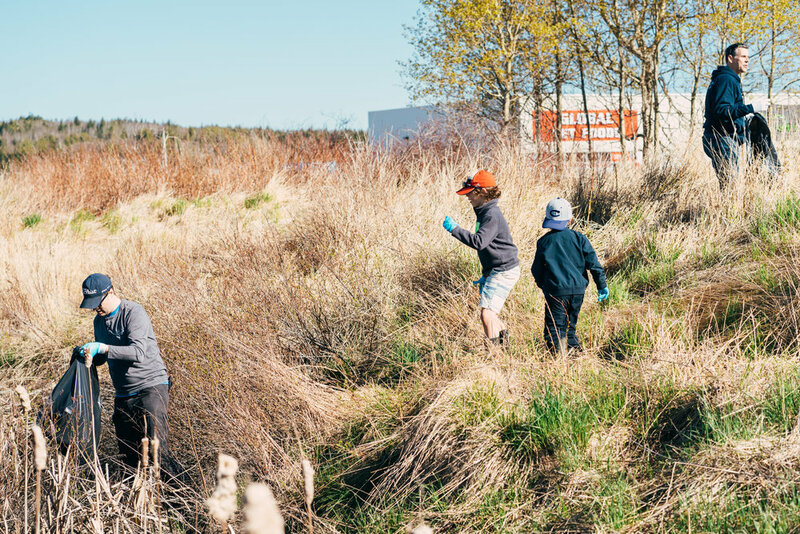 Be a part of the fun as hundreds of eager Saint John residents come out to help clean our beautiful streams and wetlands for the health and well-being of humans and wildlife alike. Prizes will be awarded to the cleanup team who collects the most debris and the team who collects the most "unique" item of the day! Registration is required to participate in this event. Please see above to register today! Remember, we want to see a record number of people participate for our 23nd year, so share this event and get the word out to friends and family. Registration is required for this event, but as for other requirements, just wear your rubber boots and we will supply the gloves and everything else you need! Oh and for all you ACAP Saint John followers on Facebook, Instagram or Twitter, be sure to take lots of photos or video and share them online, we'd love to see them! Hope to see you there! Come celebrate the launch of the ACAP Saint John's neighbourhood climate change adaptation plan! See how climate change will impact your neighbourhood and share any concerns you have about living, working or developing in Saint John in a changing climate. For more information on this exciting event, follow updates on our Facebook event page and remember to check out our Climate Change page to read the Neighbourhood Adaptation Plans once the launch takes place! Opportunity to provide input on upcoming climate adaptation plans. *Please RSVP to office@acapsj.org if you wish to attend. THIS EVENT HAS BEEN CANCELED DUE TO POOR WEATHER CONDITIONS. IF YOU ARE STILL INTERESTED PLEASE ATTEND THURSDAY’S SESSION AT THE NICK NICOLLE CENTER. This development of a linear green space known as the “Glen Way” along Marsh Creek in Saint John’s beautiful east side will be part of a new active transportation route for the residents of Glen Falls. Trees will be planted along both sides of this new parkway which will aid in stabilizing banks and reduce the level of pollutants that will enter Marsh Creek. Join us at the cul-de-sac on MacKay Street on October 11, at 2:30 pm to take part in this celebratory event and tree planting. Come join us on Tuesday, September 25th as we revitalize the Loch Lomond stormwater pond off of Mosaic Drive. 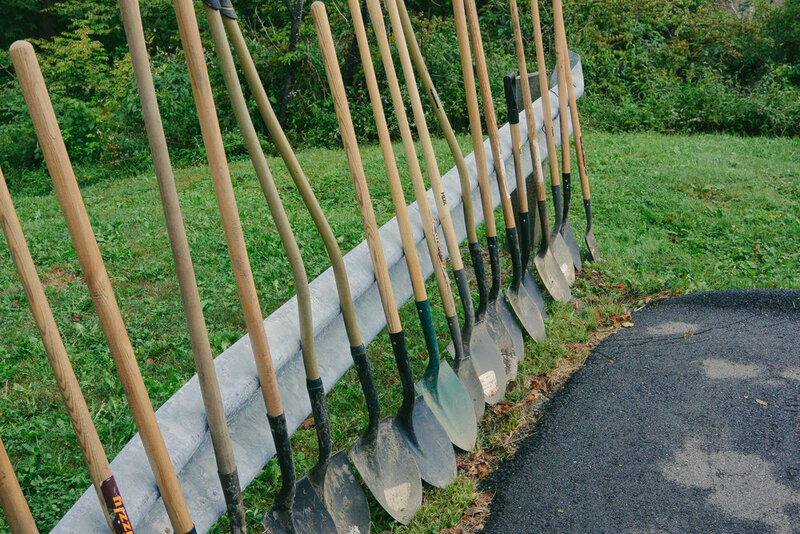 Volunteers will be needed to plant native trees and shrubs along the bank to help with stormwater runoff and to naturalize the area. This event will begin at 6pm and is open to all ages. It is recommended to wear appropriate clothing and footwear. No open-toed shoes/sandals. Email Shauna at shauna@acapsj.org or call us at (506)-652-2227 for any additional details. We are working with TD Tree Days to improve green infrastructure in our community! Come join us on Sunday, September 16 as we help plant over 150 trees around the Caledonia Brook stormwater pond. You will be given the chance to learn about the efforts that have been taken in our community to manage stormwater and how they can benefit urban flora and fauna. You will be able to register for this event directly onsite on the morning of the event. You can find us located off of Boars Head Road on Cambridge Drive. It is recommended to wear appropriate clothing and footwear. No open-toed shoes/sandals. ACAP Saint John is partnering with the Nature Trust of New Brunswick and many other great organizations across the province for their annual Great Fundy Coastal Cleanup. This large-scale, one-day event will help keep our coastlines clean from marine debris which accumulates along the shores and threatens the marine wildlife in the Bay of Fundy. This year we will be hosting cleanups along two different shorelines: Red Head Beach and McLarens Beach. 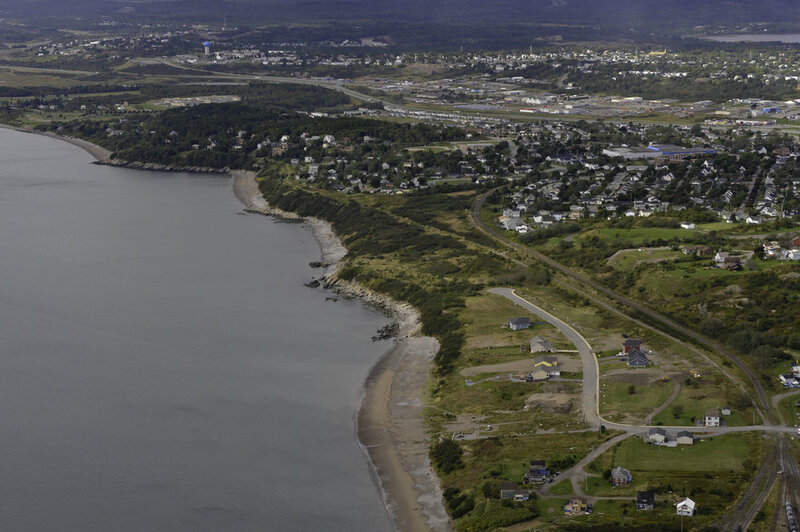 If you plan on joining us on the west side of Saint John, you can meet us in the parking lot of McLarens Beach at the end of McLarens Beach Road (off of Sand Cove Road). If you'd like to join us at our east side location, you can meet us in the driveway just after 1452 Red Head Road. Feel free to drop by any time between 6pm - 8pm to help pick up marine debris. ACAP Saint John staff will be onsite to provide garbage bags and gloves. This event is open to all ages. It is recommended that volunteers wear closed-toed shoes as these areas can be rocky/muddy. If you have any questions regarding this volunteer opportunity, feel free to contact as by email at office@acapsj.org or by phone number at (506)-652-2227. Even if you only got a windowsill, you can still grow some lovely grub! The newest addition to the ACAP Saint John team is the Sustainer Container - located in Chown Field. The Sustainer Container will be used to grow various herbs and vegetables to be distributed throughout the community, as well as an educational tool to promote home gardening and food security. Our first garden workshop of the season will be held on June 20th from 1pm-2pm and again between 6:30pm-7:30pm. Join us as we talk about the benefits of gardening, how to start your own patio garden, harvesting and preserving vegetables, and so much more! We will be set up outside of the container in Chown Field. This event is open to all ages and it is suggested to bring a lawn chair or a blanket for your own comfort during the workshop. Registration is not necessary for this event. *This event has been cancelled due to flooding and contamination risk at this site. Sorry for any inconvience this may have caused. Join us as we restore this beautiful lot and plant over 200 native trees and shrubs along Spar Cove - where Newman's Brook empties out into the Wəlastəkw [Saint John River]. This event will be held on Wednesday, May 23rd from 6:00pm - 8:00pm. Drop by any time throughout the evening to help us plant some trees! This event will be open to all ages. Please contact us directly to get involved. Come be a part of our 22nd Annual Marsh Creek Cleanup! 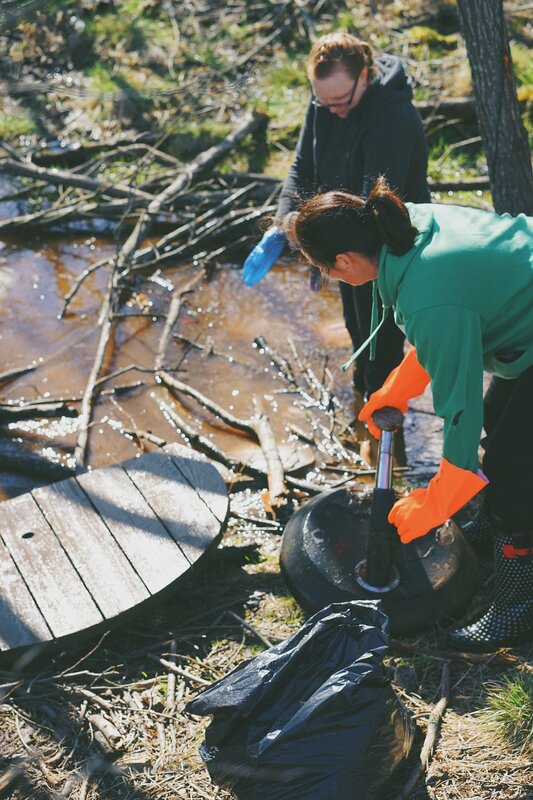 Be a part of the fun as hundreds of eager Saint John residents come out to help clean our beautiful streams and wetlands for the health and well-being of humans and wildlife alike. Prizes will be awarded to the cleanup team who collects the most debris and the team who collects the most "unique" item of the day! Remember, we want to see a record number of people participate for our 22nd year, so share this event and get the word out to friends and family. Registration is required for this event, but as for other requirements, just wear your rubber boots and we will supply the gloves and everything else you need! Oh and for all you ACAP Saint John followers on Facebook, Instagram or Twitter, be sure to take lots of photos or video and share them online, we'd love to see them! Hope to see you there! 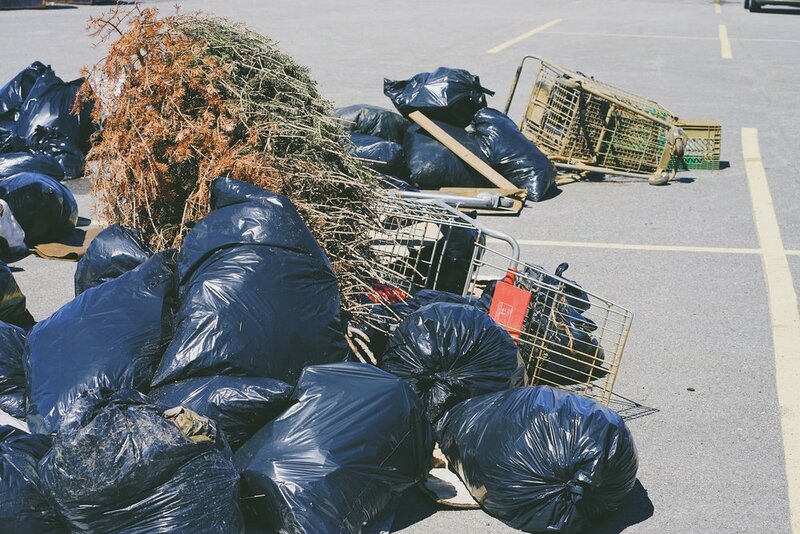 Do you want to help your community for Earth Day? Join us at Bayshore Beach on Saturday, April 21st as we clean up this beautiful coastline. Stop by any time between 9:30am and 12pm to help pickup any marine debris and other litter that is scattered along the shore. We will be providing gloves and garbage bags for this event. This event is open to all ages. We will be set up by the parking lot for the beach off of Sea Street (at the bottom of the hill). If you need directions or more information, please contact the office.